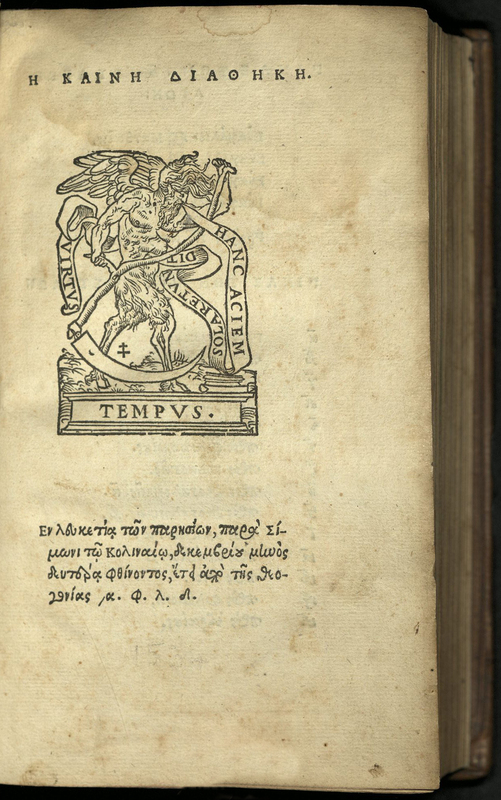 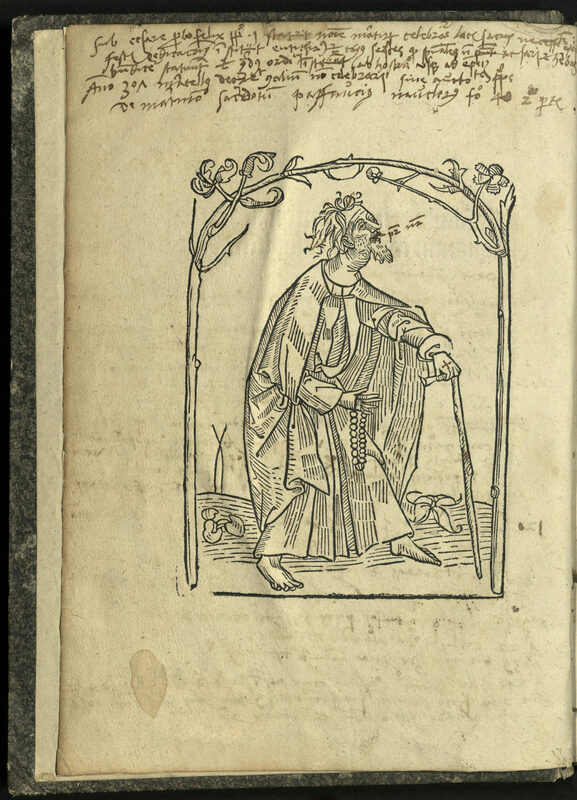 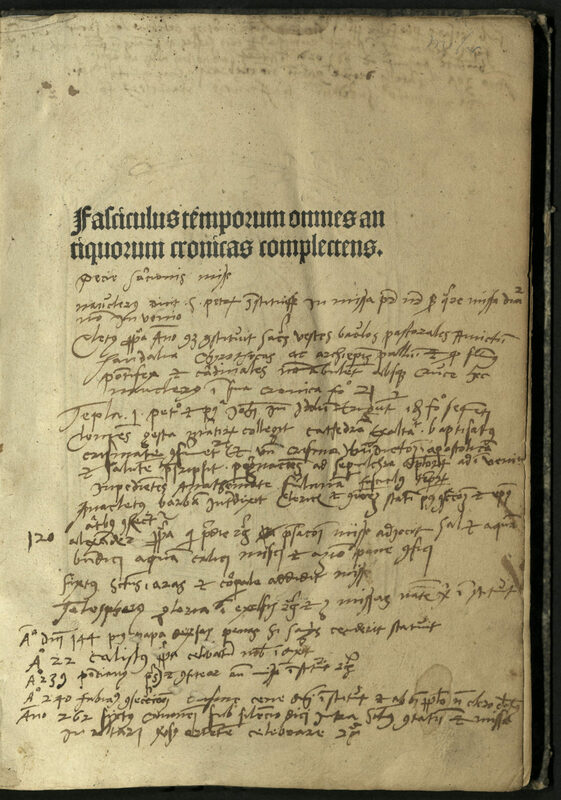 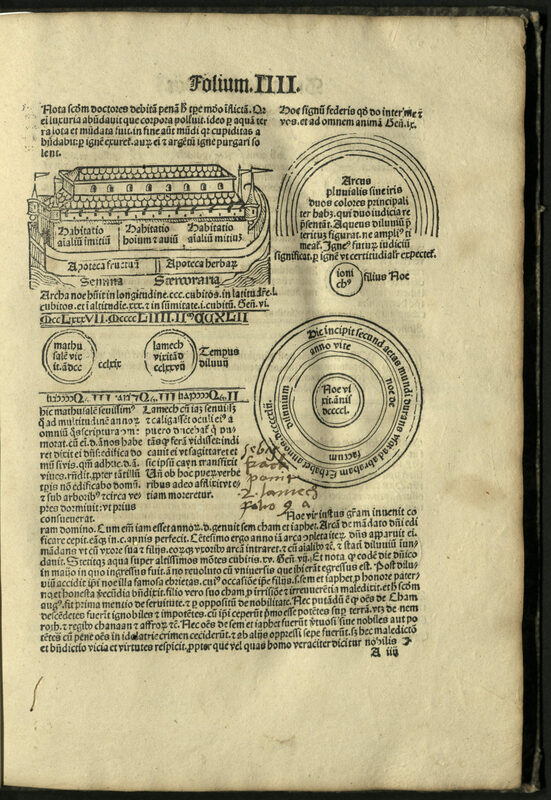 Werner Rolewinck’s Fasciculus temporum was one of the most popular chronicles of the incunable period and beyond. 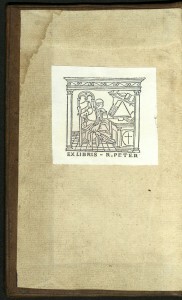 This title has the distinction of being one of only a few books printed in this period while the author still lived. 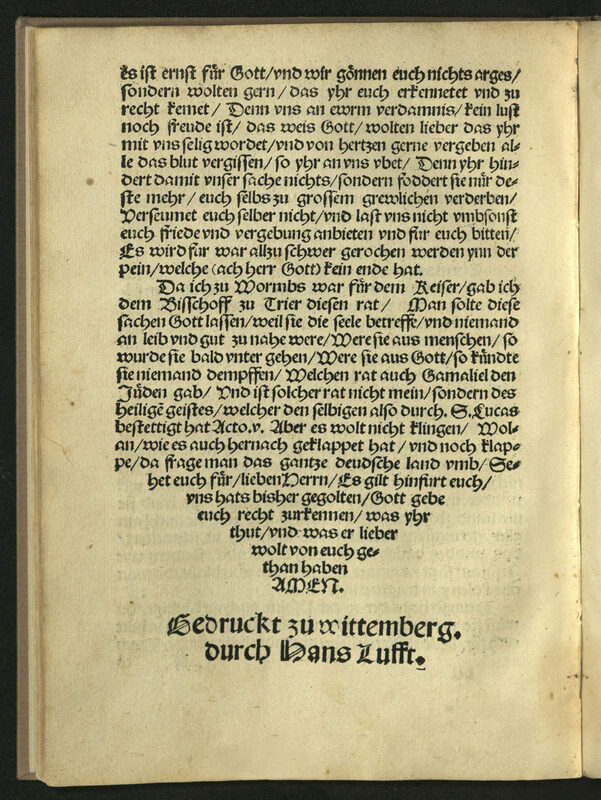 At least thirty editions were printed between the editio princeps (1474) and the death of Rolewinck. 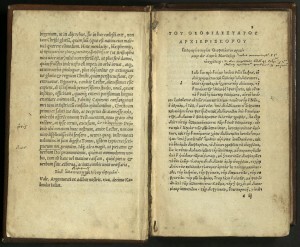 Five of these editions were printed Johan Pruss, four in Latin, as is the present edition, and one in German. 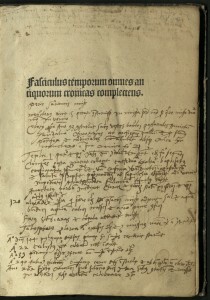 Rolewinck’s history is heavy on the stories of the British Isles, including the story of King Lear and his daughters, later made famous by William Shakespeare, is told in detail on the same page with that of Lycurgus of Sparta and the founding of Rome; Merlin and Arthur, St. Patrick, St. Thomas of Canterbury, and King Alfred. 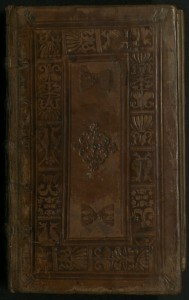 This edition is expanded from the first to include events which occurred since the first edition, such as the death of Mathias Corvinus, King of Hungary in 1490. 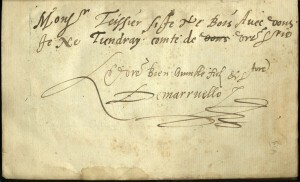 Rolewinck, born in Westphalia, was the son of a well-to-do farmer. 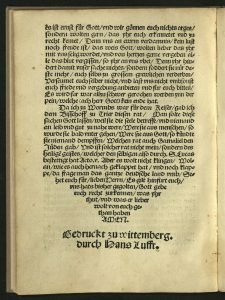 In 1447 he entered the Carthusian cloister of St. Barbara in Cologne. 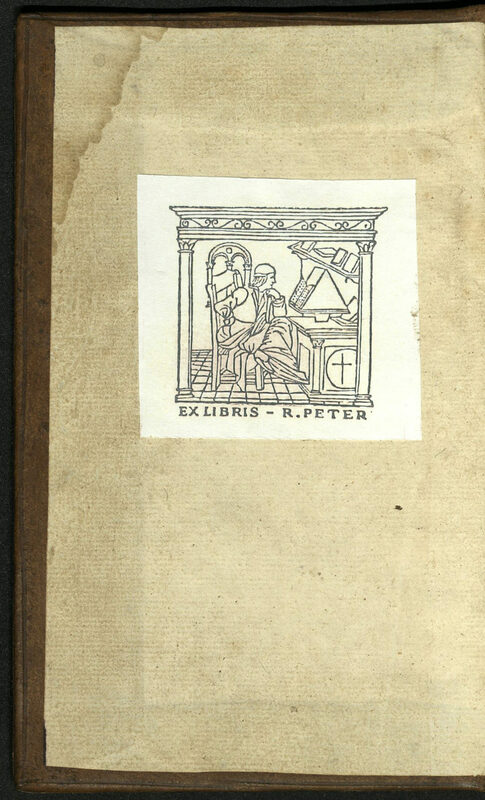 He wrote at least thirty works, mainly on theology, and mostly for the edification of his fellow monks. 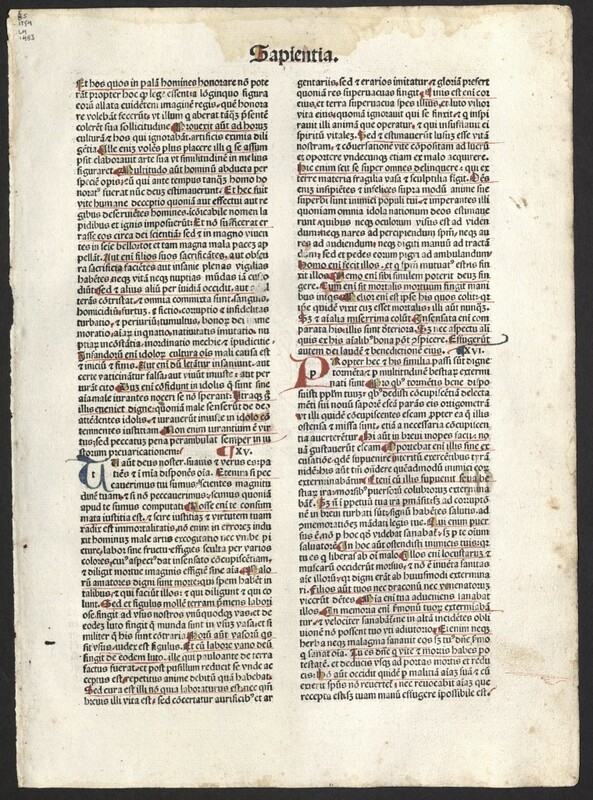 Many of these manuscripts were never put into print. 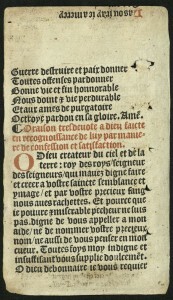 The printing of this text was tricky. 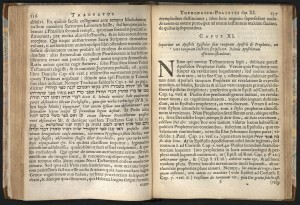 The page layout has a double-ruled strip in the middle of the page, separating the text above (Biblical history with commentary by the Church Fathers) from the text below (secular history). 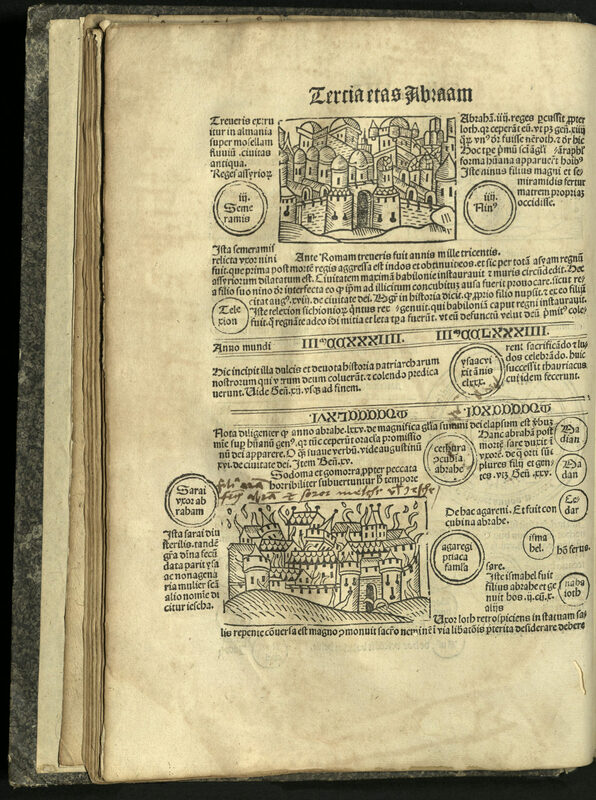 Within the strip are one, two or three circles containing the names of people, beginning with Adam. 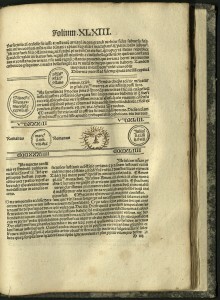 Dates above are calculated from the creation of the world (5199 B.C.) 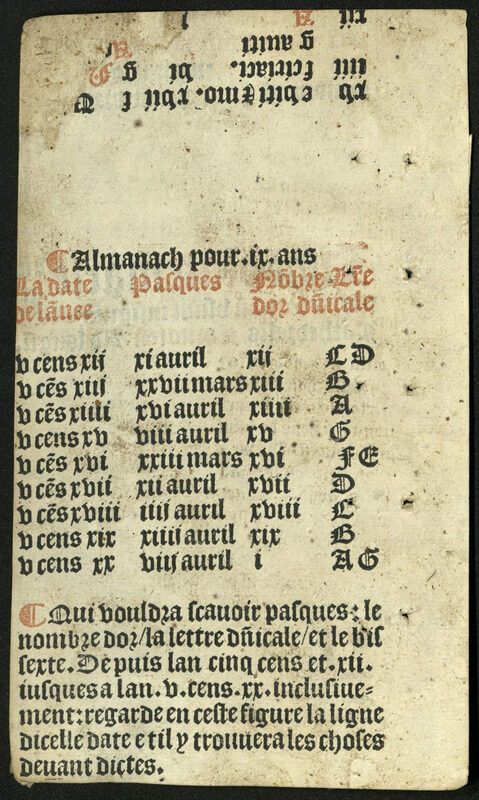 Dates below, printed upside down, indicate the number of years before the birth of Christ. 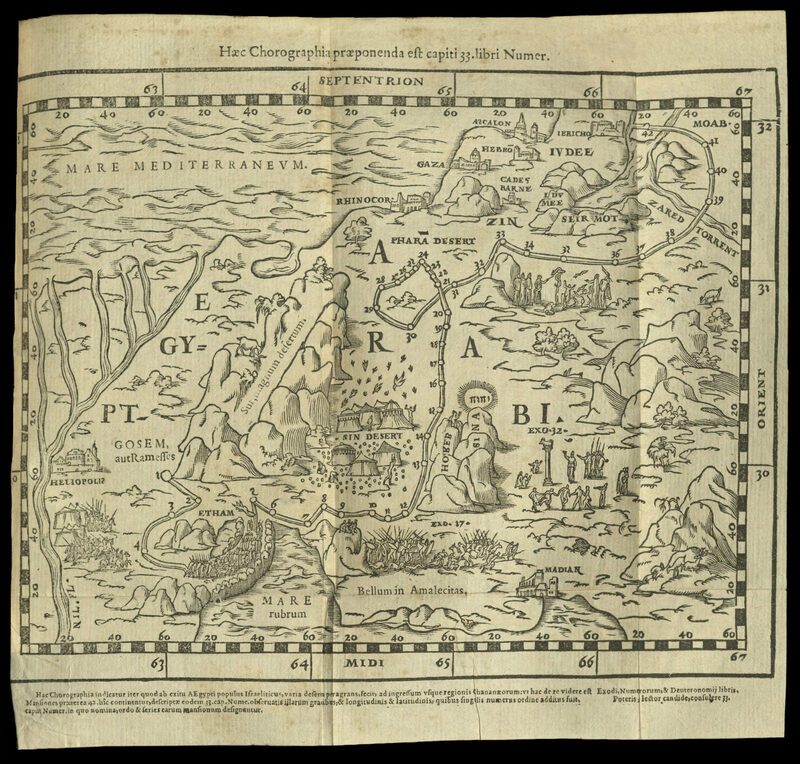 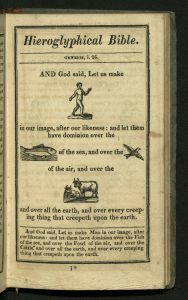 Illustrated with nine woodcuts, including a frontispiece on the verso of the half-title of an elderly pilgrim, in classic “going on three feet” pose; twelve town views; an Ark and rainbow; and a full-length portrait of Jesus Christ. 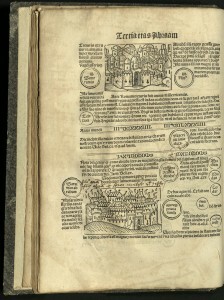 A city in flames illustrates the destruction of Sodom and Gomorrah, Troy, and others. 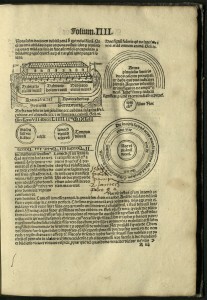 Three woodcuts illustrate omens, such as comets, eclipses and monstrous births. 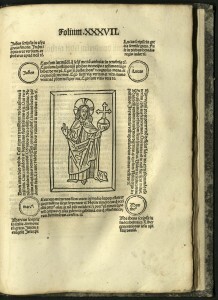 The page with the woodcut of Jesus Christ (fol. 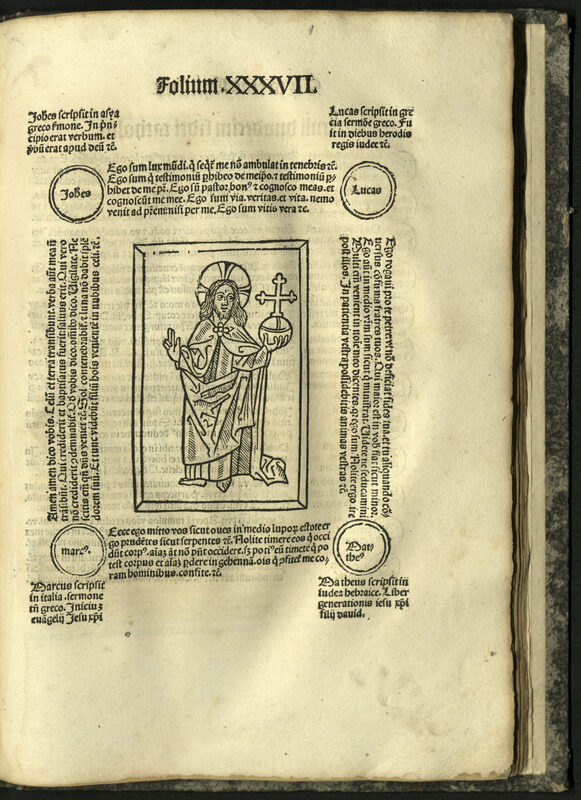 37) is an example of sophisticated typesetting: the figure of Christ is surrounded on four corners by the names of the Evangelists with quotations from the Bible. 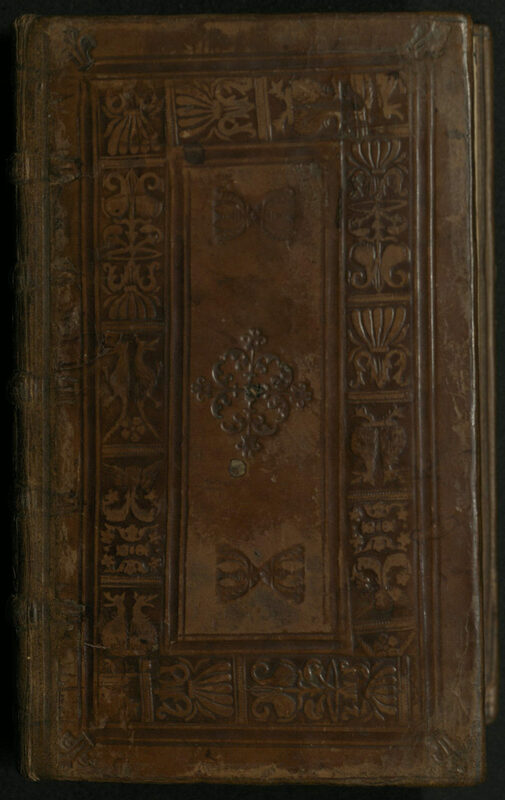 University of Utah bound in later, probably seventeenth century German, paste-paper boards. 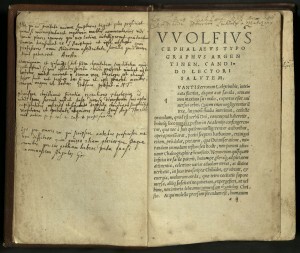 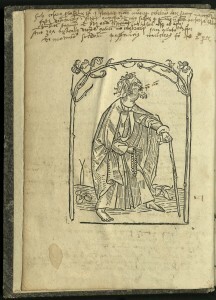 UU copy has contemporary ink annotations on half-title and top margin of frontispiece and several others throughout the text, including a drawing on fol. 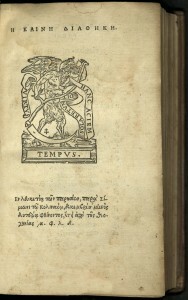 XLXIII. 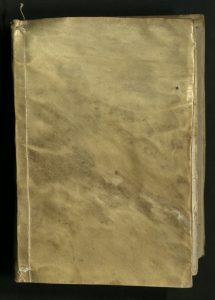 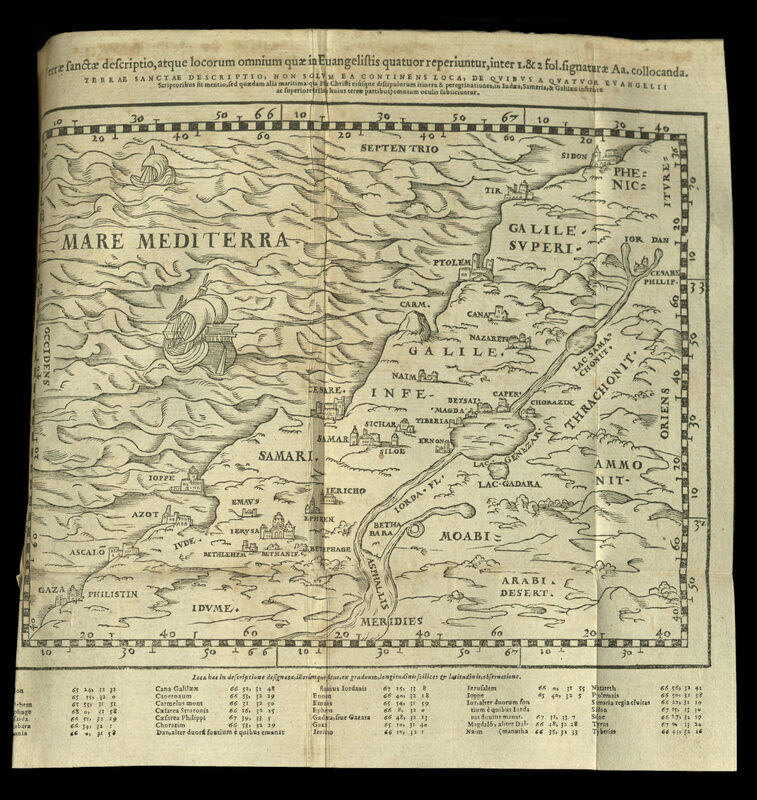 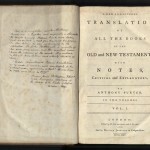 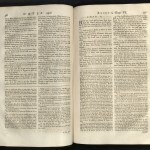 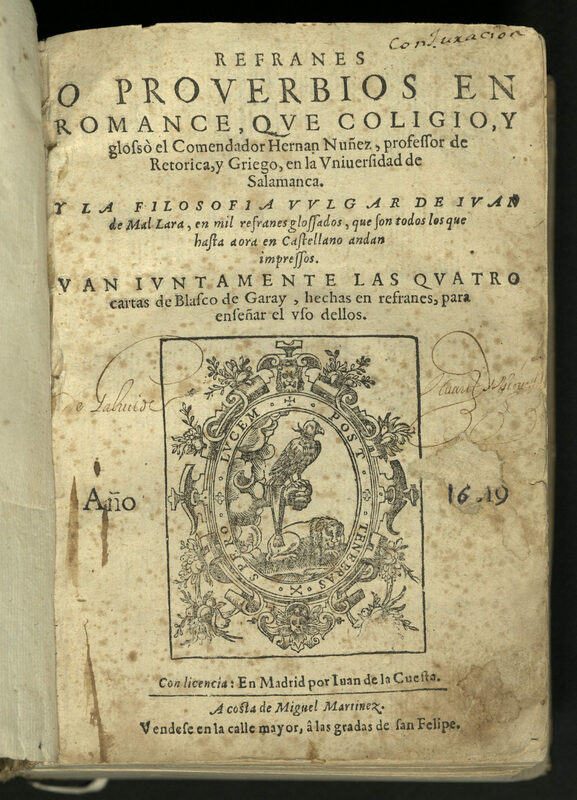 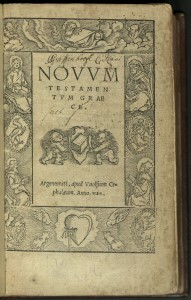 First edition, first printing in octavo of the Erasmus New Testament in Greek. 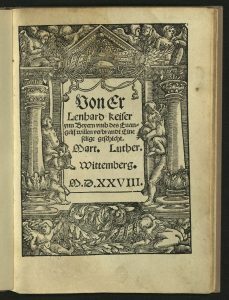 This edition, in its compact format, was much more affordable than Froben’s earlier editions, two facts that arguably gave Erasmus’ translation greater societal impact. 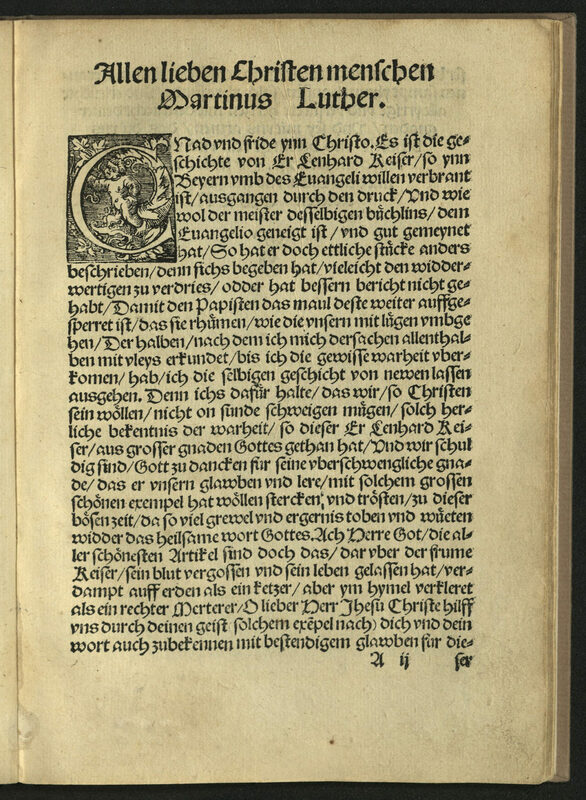 The text closely follows the Nikolaus Gergel edition of 1521, the second edition of the Erasmus Greek New Testament. 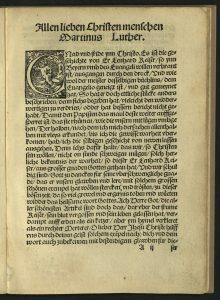 Desiderius Erasmus (1466-1536) took monastic vows at the age of twenty-five. 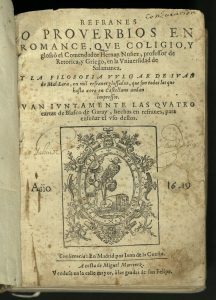 An independent scholar, he spent time at Cambridge where he befriended John Colet (1467-1519) and Thomas More (1478-1535) during a time of great stress in the English Church. 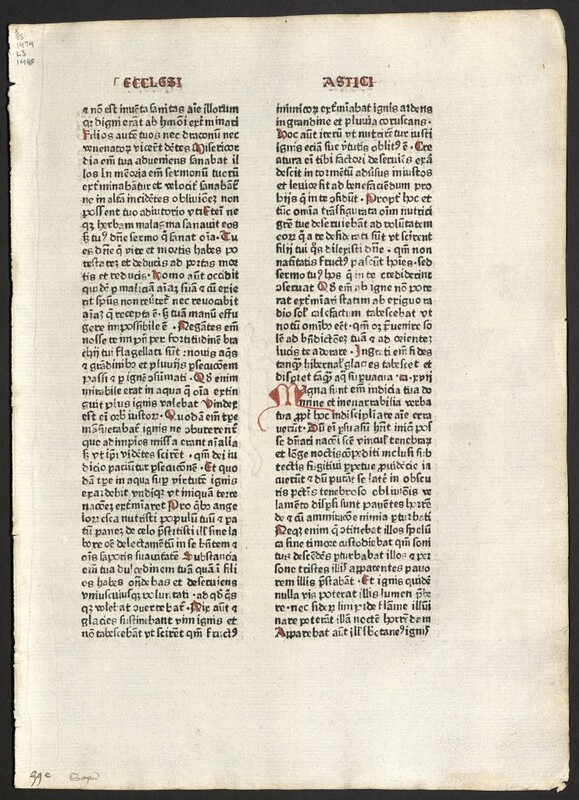 He spent three years in Venice working as an editor in the publishing house of Aldus Manutius (1449-1515). 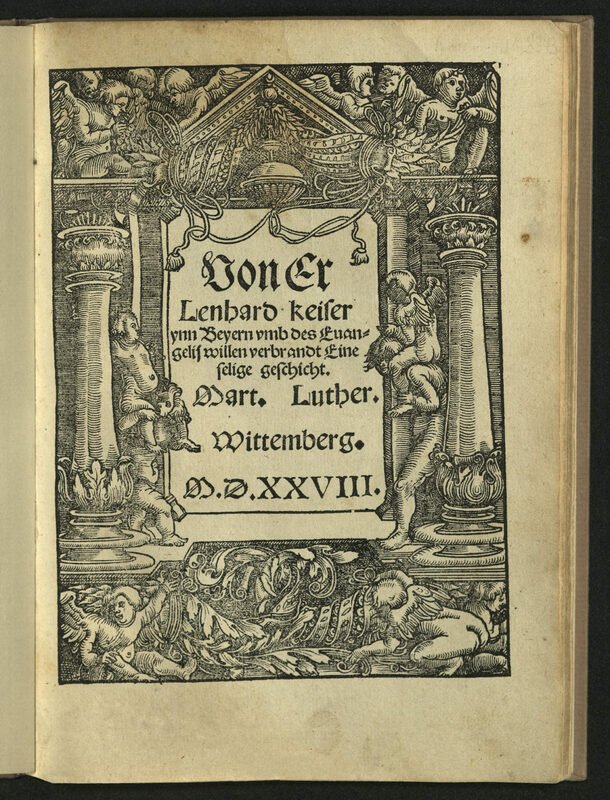 He later worked with printer Johannes Froben (1460-1527) in Basel. 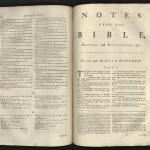 While in England, Erasmus began a systematic examination of available manuscript copies of the New Testament. 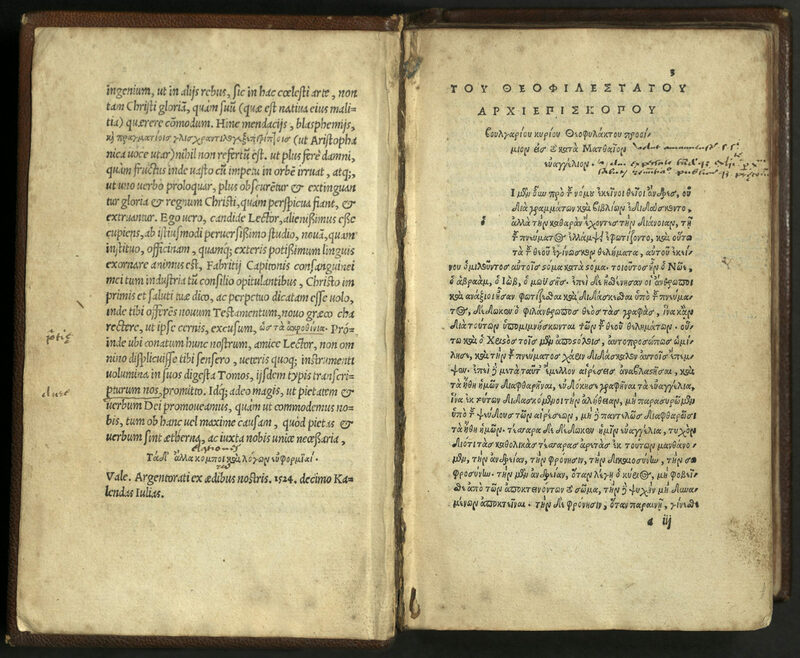 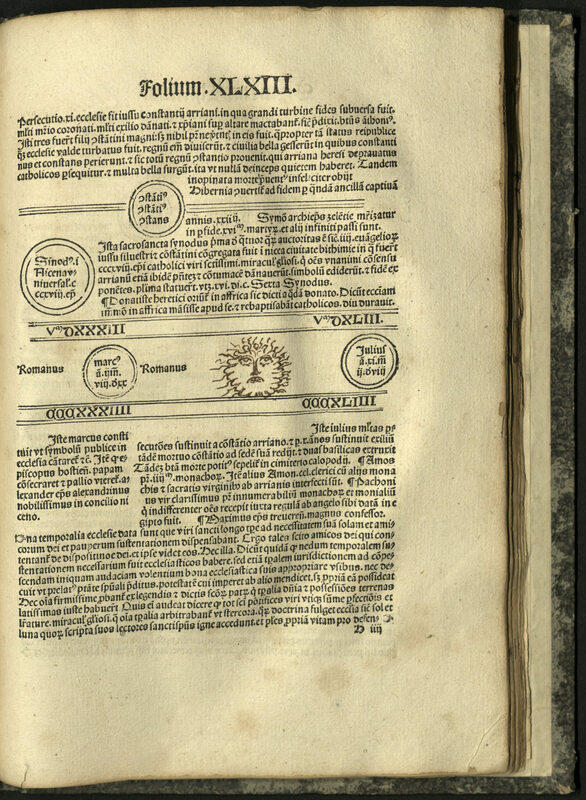 His resulting Greek New Testament, with Latin in parallel column, was first published by Froben in 1516. 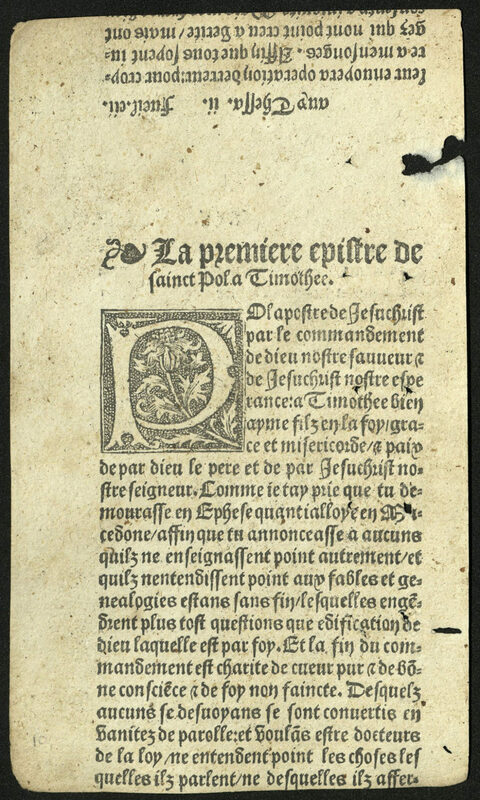 The 1516 Greek-Latin New Testament was used as a primary source for Martin Luther’s translation of the New Testament into German (1522), and for William Tyndale’s translation of the New Testament into English (1526). 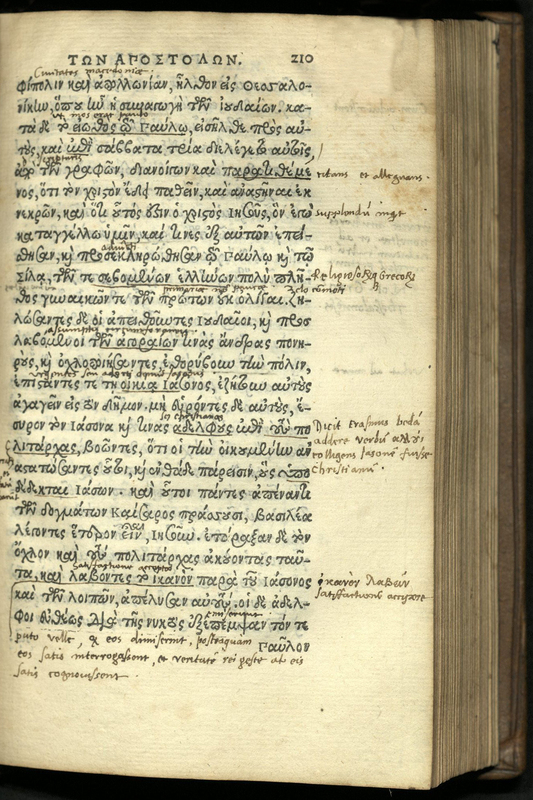 Although Erasmus was criticized by later scholars for not having used all available manuscript copies of the Greek New Testament and for not using Byzantine copies, his translation is noted as the first Western European attempt to find a truer translation of the New Testament than that of the fourth century Latin Vulgate, the translation used almost exclusively by the Roman Catholic Church. 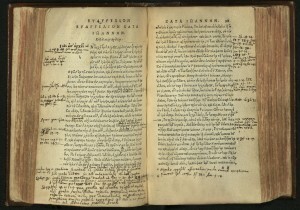 The translation re-introduced the study of Greek biblical manuscripts and other Greek works on the Bible into Western Europe. 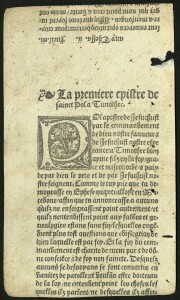 Only ten copies of this edition and printing are listed in WorldCat. 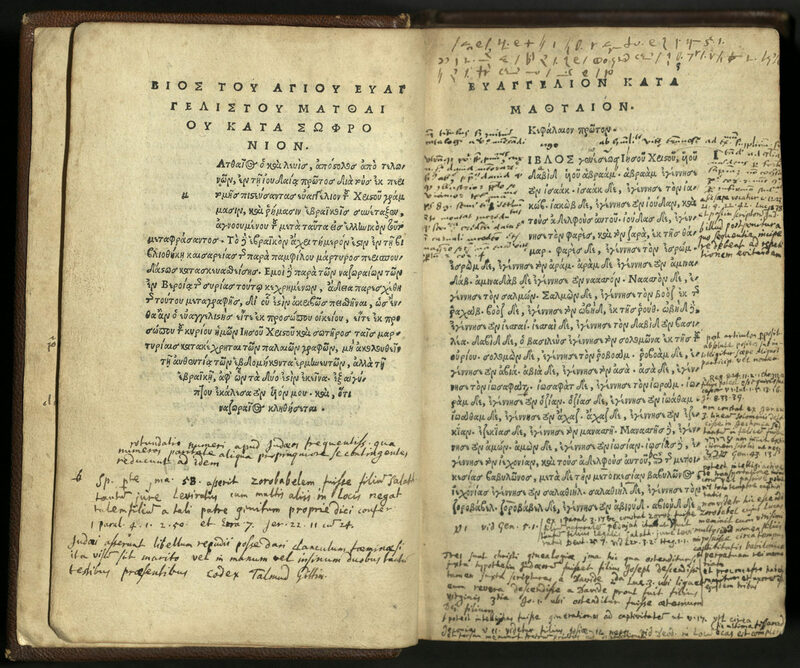 University of Utah copy has extensive marginalia in multiple contemporary or just post-contemporary hands (possibly four) throughout. 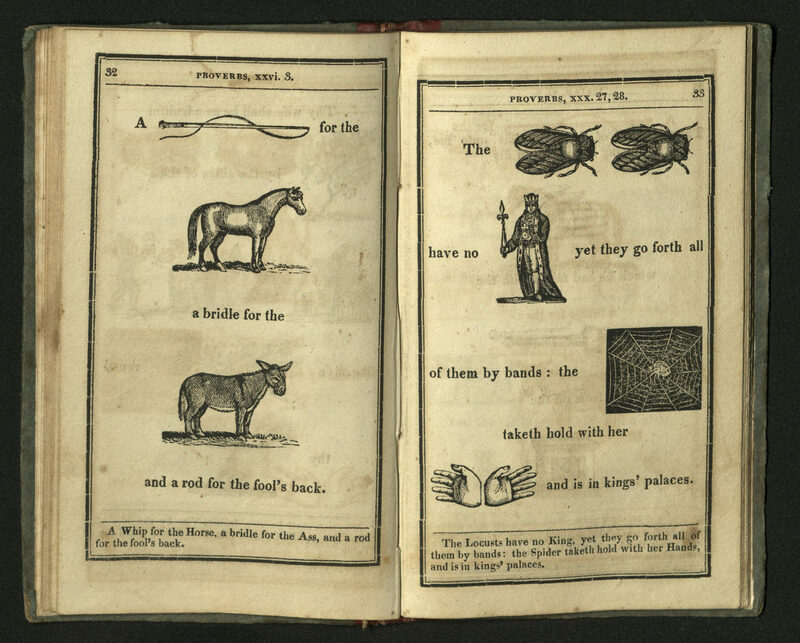 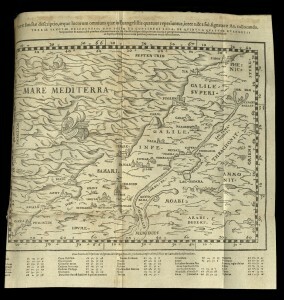 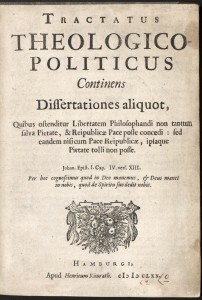 Printed without authorship attribution, a false publisher and imprint were given in order to maintain anonymity and protect the author and printer from political retribution. 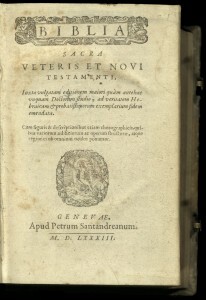 In 1673, the book was publicly condemned by the Synod of Dordrecht and officially banned the following year. 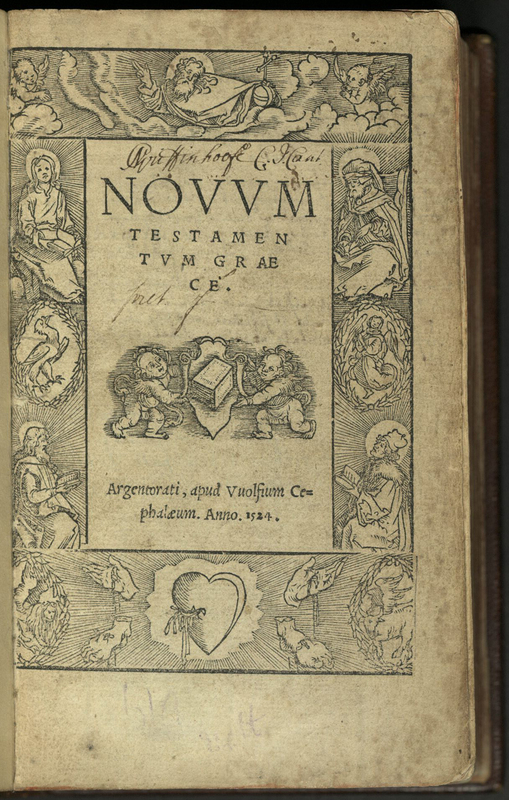 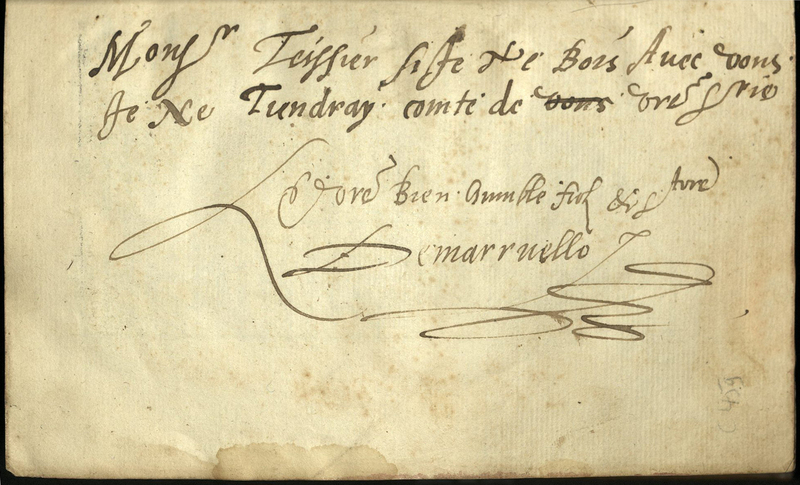 This is one of the few books banned in the Netherlands during the early modern period. 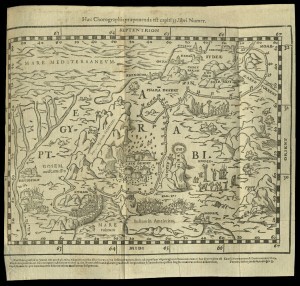 In spite of this, it could be found and bought throughout Europe fairly easily. 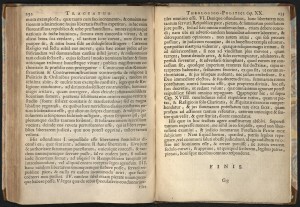 In this Tractatus Spinoza combined biblical criticism with political philosophy. 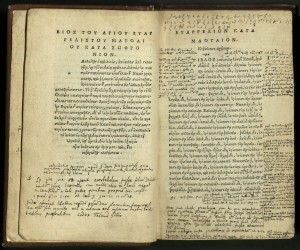 His metaphysics was heavily influenced by Moses Maimonides and English philosopher Thomas Hobbes, author of Leviathan (1651). 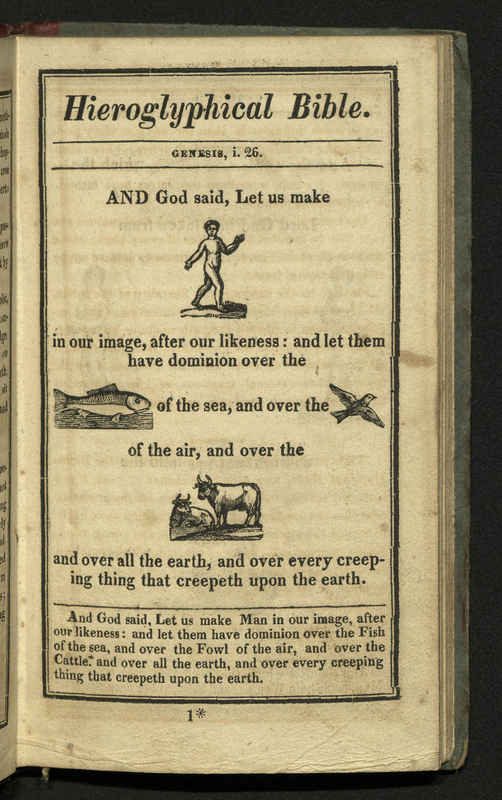 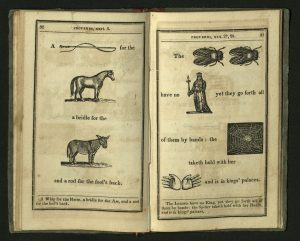 From its first page, the book sparked controversy. 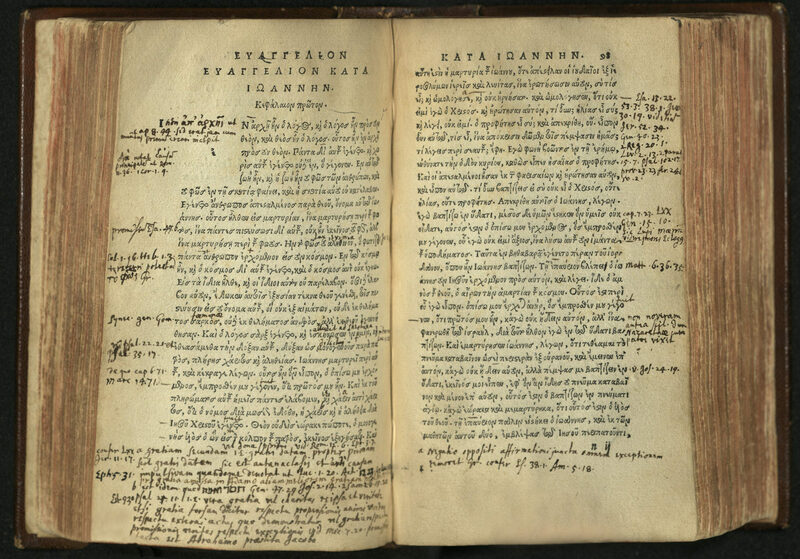 Spinoza expressed his skepticism of the authenticity and historicity of the Bible, pointing out its inconsistencies. 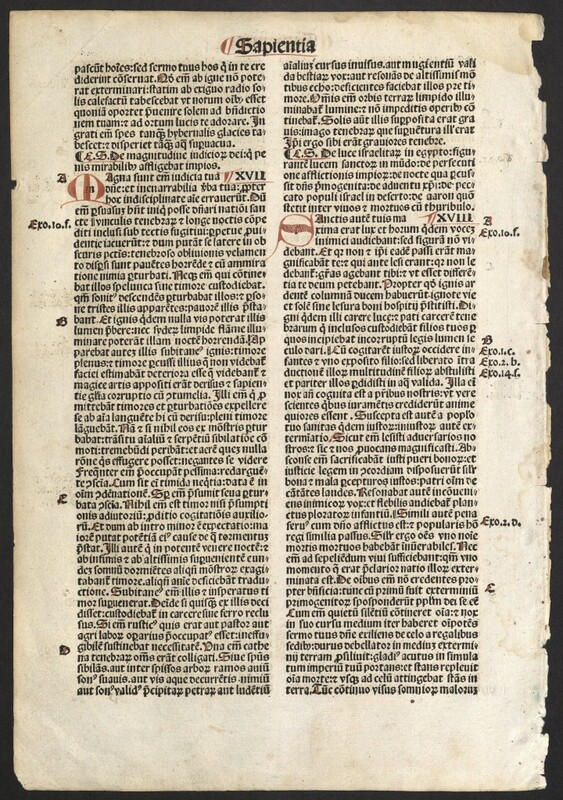 Leaf from Ecclesiates. 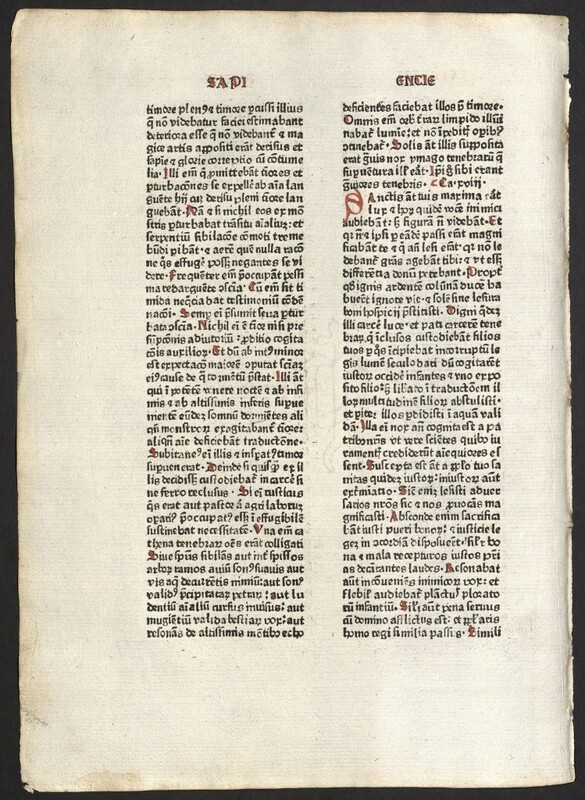 Rubricated in red. 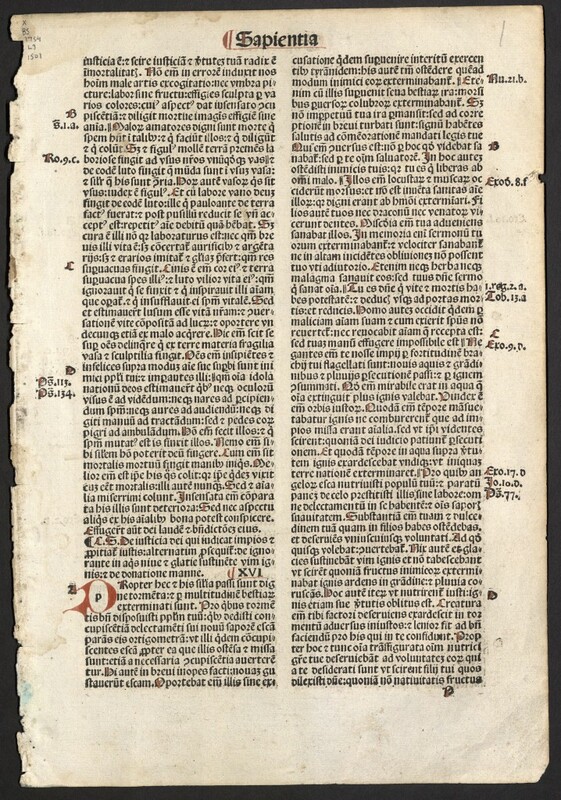 Leaf from Chapters 14-18 of the Wisdom of Solomon. 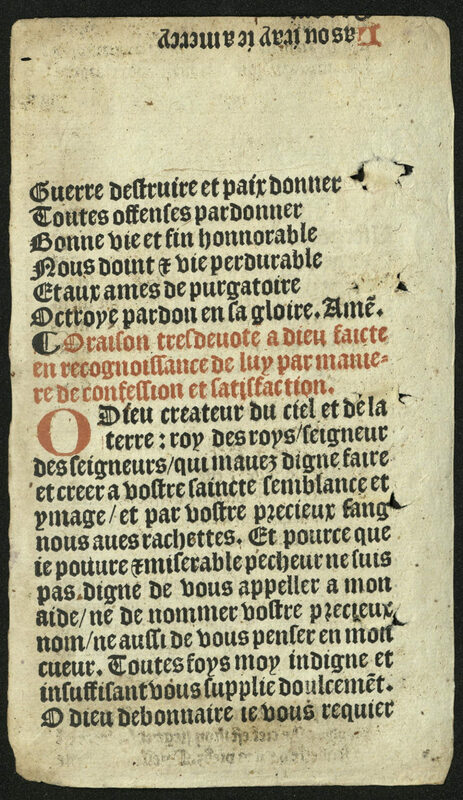 Rubricated in red and blue; flourished initials. 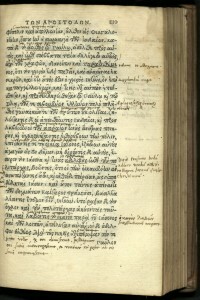 Leaf from Chapters 15-18 of the Wisdom of Solomon. 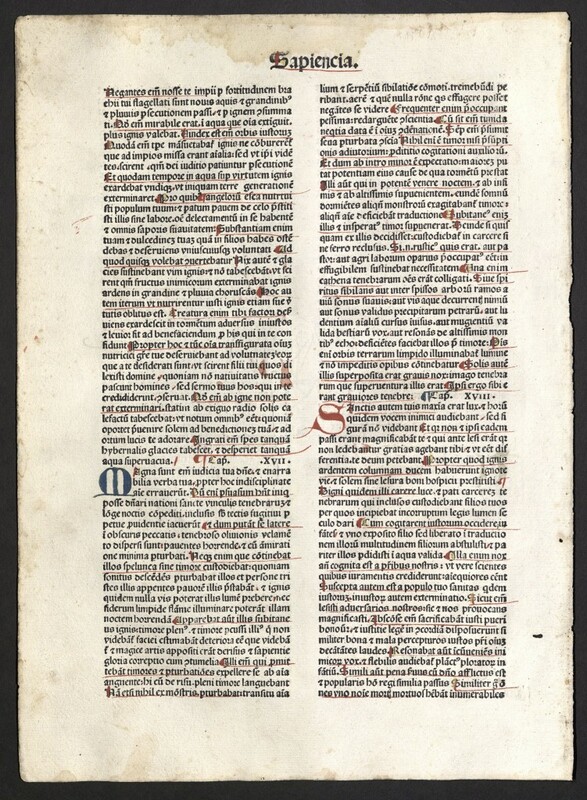 Rubricated in red and blue. 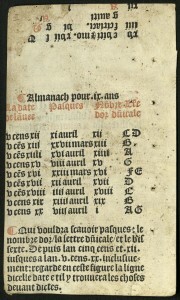 Flourished initials.